Designed after SKILCRAFT's popular U.S. government pen and compatible with touch screens, this combination of stylus and ballpoint pen makes it easy to work on your tablet or smartphone. 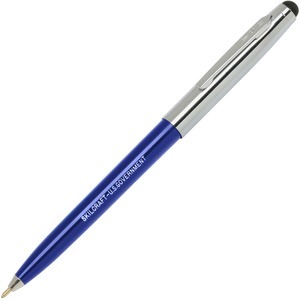 Made for performance and comfort, the retractable ballpoint pen feature provides easy writing on paper when needed and offers a medium point. Use with iPhones, iPads, Android devices and tablets.